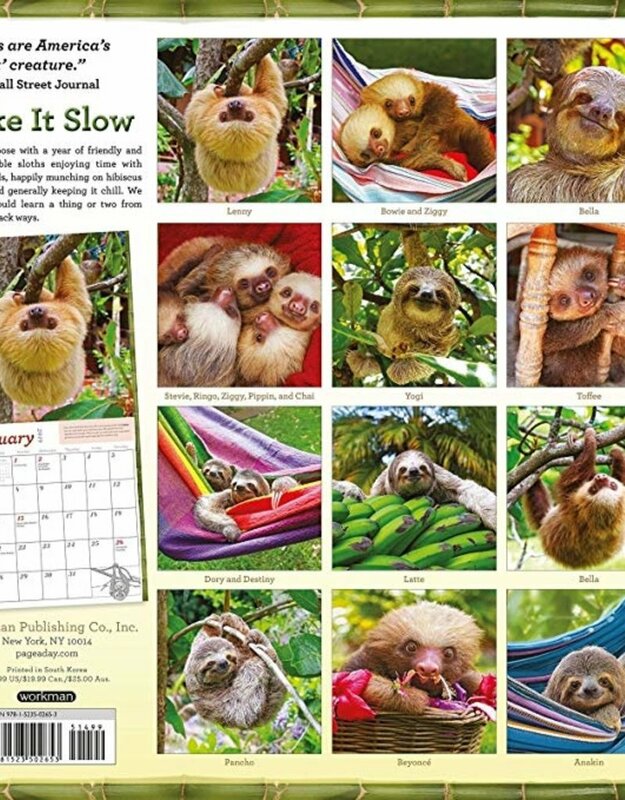 Hang on tight for a year of friendly and sweet sloths doing their favorite activities—from dangling with their friends to napping peacefully to happily munching on hibiscus flowers. 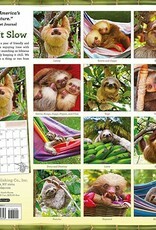 Meet Anakin, a baby Bradypus sloth from Costa Rica; Yogi, a skilled climber, hanging out in some branches; and Beyoncé, known for her gorgeous honey-colored fur. 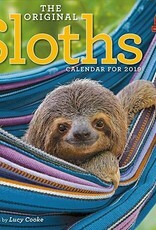 With fun facts about these gentle creatures: Did you know that three-toed sloths can turn their heads around 270 degrees? 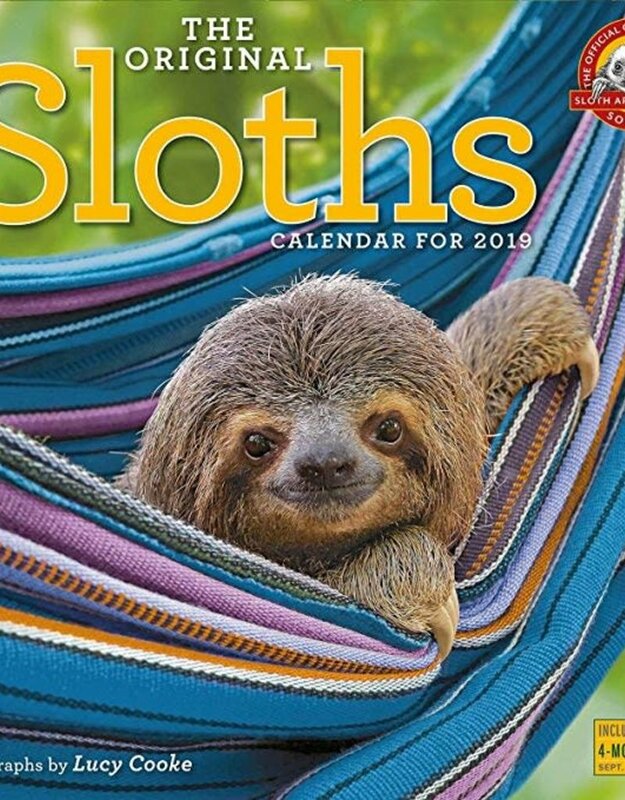 And we humans could learn a thing or two from the laid-back ways of these perpetually chilled-out creatures—making this calendar the perfect reminder to let go and relax.